Any of you here are still using Samsung Galaxy Tab A T580/585. 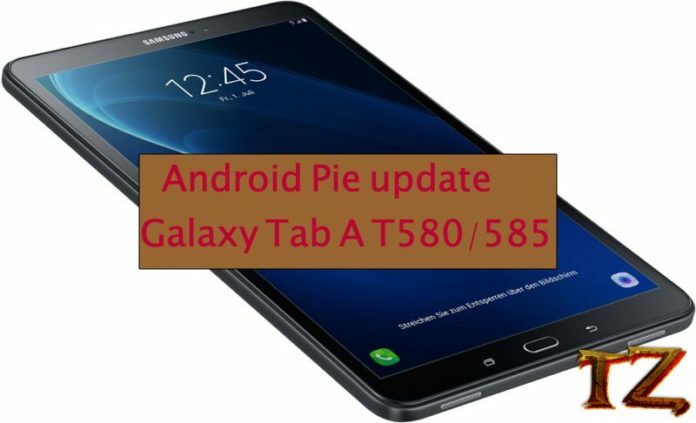 Although Samsung has officially stopped the Android firmware update for Galaxy Tab A T580/585, it does not mean you cannot update your tablet to the latest Android version. There are still custom ROMs based on the Android Pie version for Galaxy Tab A T580/585. In this post, we’d like to share you ResurrectionRemix ROM based on Android Pie update for all Galaxy Tab A T580/585 devices. If you are eager to install the ROM on your tablet, follow this post to download and install it on your device. Before proceeding, you should prepare some things first so that the process can be successful. Back up all your important data first as the process will erase everything in your tablet internal storage. Keep your tablet battery at least 50% so the nothing goes wrong during the process. If you have already installed a TWRP custom recovery on your tablet, you can then update it to the latest version by flashing twrp-3.2.3-4.img file. To do so, boot your phone into TWRP recovery (Power + Home + Power buttons), tap on Install > Install img and flash it. This ResurrectionRemix Android 9.0 custom ROM is only for Galaxy Tab A T580/585, so you must not flash it on other devices, as it might end up bricking. We’ll not take any responsibility if there is any bug created after the update.